Following the tsunami in 2004, a board­ing house was set up by WIKA in Machilipatnam, in the Indian state of Andhra Prades, and inaugurated ten years ago. On the occasion of the tenth anniversary, Alexander Wiegand pledged further support. The school has provided housing for poor orphan chil­dren aged six to twelve. 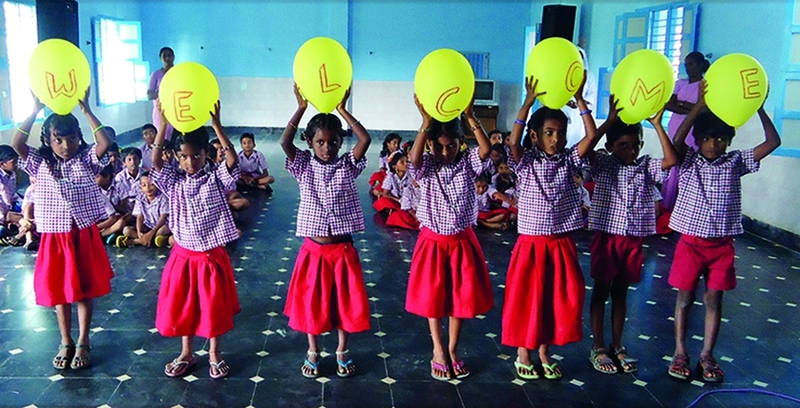 After the village of Machilipatnam had been hit hard by the devastating tsunami, WIKA decided to construct a boarding school and support it financially in the long run. After its completion in 2006 WIKA has consistently helped financially. In addition to food and medicine, WIKA also provided funds to buy school uniforms, clothing and study material. Children gave Alexander Wiegand a warm welcome. 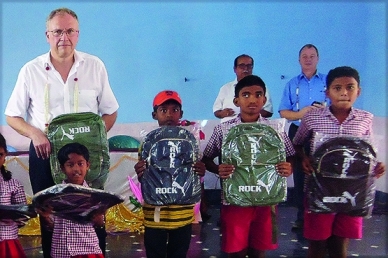 On the occasion of the tenth anniversary of the boarding house, CEO Alexander Wiegand, Gerhard Bonn, Subrata Bhattacharya and Venkates Balaji visited the school in November. They spent valuable time with the children and had lunch at the boarding house. The children gave them a heart­felt welcome and per­formed some cultural activities, which moved and impressed the visitors. Alexander Wiegand has pledged further financial support for the running costs of the boarding house for the next five years.